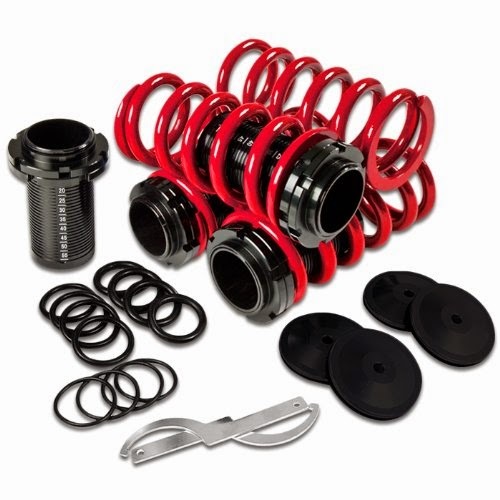 Adjustable Absorber Blox coilover Spring. Honda Civic EG EJ EK DC2 CRX. As many of you know there are a million aftermarket companies out there that manufacture coilovers, However that does not mean that all kits are created equally! Many of these companies cut corners by using cheap, inexpensive materials to reduce their overall costs. This is not the case with BLOX coilovers which are made using nothing but the highest quality materials resulting in a coilover kit that out performs and outlasts all of the competition!